#ClosingCeremony trended on Twitter with with 3.18 million tweets about 10 p.m. Sunday, according to Twitter. What drove the interest? K-pop and rock 'n' roll dominated much of the engagement on social media. K-pop artist CL performed at the closing ceremony, as did the boy band EXO. K-pop's roots are South Korean. The people and government are proud of their infectious brand of music and music videos, which feature Korean lyrics dashed with catchy English phrases, vibrant fashion and elaborate dance moves. The K-pop industry began in the 1990s as the country was growing as a democracy and its profile rising on the world stage. The past decade saw another wave of K-pop that is far more commercial, as talent agencies develop rigorous training programs. "It was very well placed to move very, very quickly to assimilating and appropriating Western music," Keith Howard, a music history expert and National Humanities Center fellow, told the Associated Press. Among the most viewed YouTube videos of all time with more than 3 billion hits is Psy's 2012 earworm "Gangnam Style." But that is hardly representative of the genre. It's actually a parody of K-pop drawing on its own absurdities, which experts say was fully embraced locally when it became a global touchstone of Korean culture. 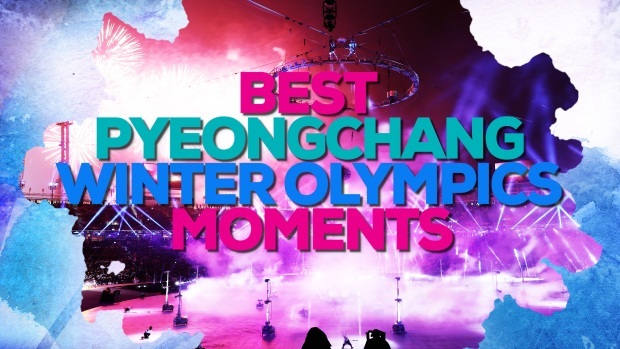 The Olympics' end and K-pop were celebrated not just on social media but also in neighboring China, as the International Olympic Committee ceremoniously passed the Olympic torch to Beijing in honor of the forthcoming 2022 Winter Olympics. Here's some of the best reactions to the closing ceremony.